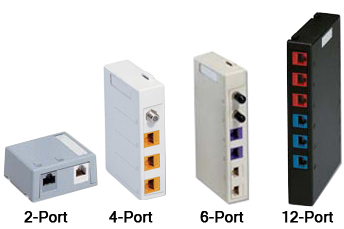 A great product, the Leviton QuickPort® Surface Mount Boxes are available in 2, 4, 6, and 12 ports to suit your needs. Each box is UL Listed and is compliant with NEC Article 800. 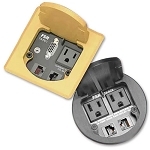 The QuickPort Surface Box have built-in strain relief for wires and cables and it offers punch-outs on the box for cables, wires, and raceway entry. This unit works well with Leviton QuickPort snap-in-modules. 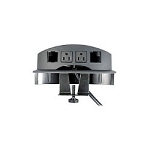 Each box comes with mounting hardware (screws and adhesive) to attach the box on desks, cabinets, and walls. *Each Box is available in Black, Gray, Ivory and White. UL Listed and NEC Article 800 Compliant.